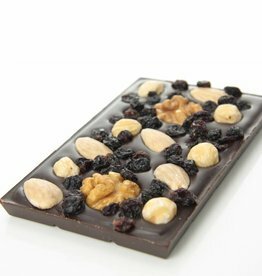 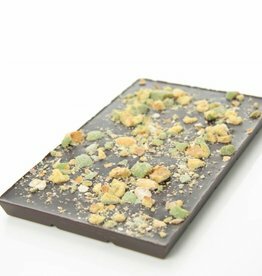 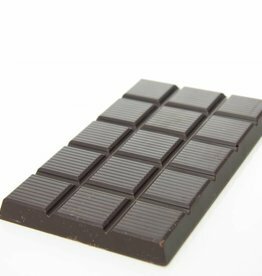 A bar of dark chocolate (70% cocoa) lavishly decorated with a mix of raisins, almonds, hazelnuts and walnuts. 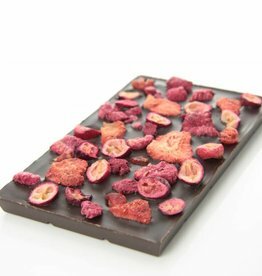 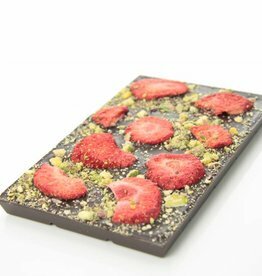 A bar of dark chocolate (70% cocoa) covered with speculoos crumbles and pieces of raspberry. 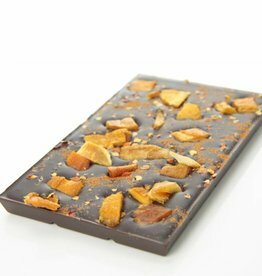 Speculoos is a type of traditional biscuit made with a spice blend that tastes a bit like gingerbread.